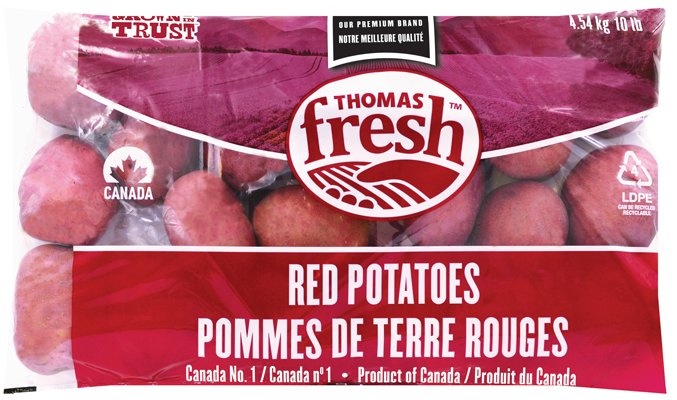 Thomas Fresh’s premium red potatoes are grown in Canada and the United States, and are available all year round. Vibrant red colour, white flesh and thin skin. Subtly sweet flavour profile. 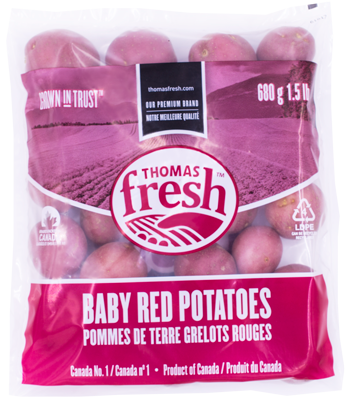 Best for roasting, salads, soups, and stews. 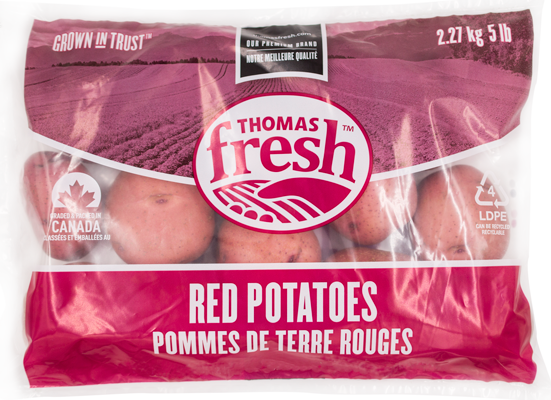 Add a pop of colour to your dish! 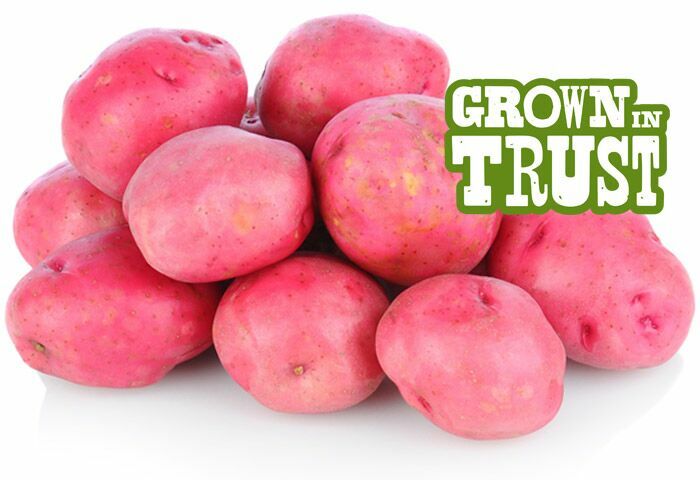 Red potatoes hold their shape well when being cooked, making them great for potato salads and stews!